Four literary masterpieces will be brought to life onstage for the 23rd theater season of Tanghalang Pilipino. These plays include the Filipino adaptations of Apples from the Desert, Mother Courage and Her Children, A Streetcar Named Desire and Three Sisters. Sheer beauty that can soften the most hardened of hearts. Will power and strength that can transform an entire nation. Pure love and wisdom that create a strong foundation of a home. Resilience through life's difficult passages. These qualities and more make a woman of substance. 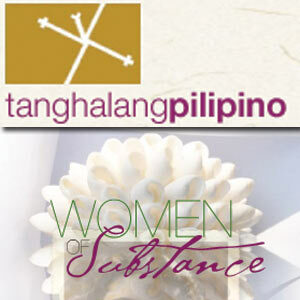 Thus, four literary masterpieces featuring passionate, extraordinary, complicated, "women of substance" will come alive on stage as Tanghalang Pilipino opens its 23rd Theater Season 2009-2010 starting in August. The season opens with Apples from the Desert / Mansanas ng Disyerto, a heartwarming comedy written by Savyon Liebrecht, one of Israel's best-selling and acclaimed female writers. The play is about the conflict that erupts between an independent-minded daughter and her Jewish Orthodox parents, as she discovers love and life beyond the confines of her highly-regimented life. Apples from the Desert / Mansanas ng Disyerto reveals the impact of larger social and political conflicts within the private worlds of home and family. Translated by Liza Magtoto and directed by Tess Jamias (contemporary dancer, choreographer, filmmaker, and teacher and alumnae of the TP Actor's Company), the play features Sherry Lara, Leo Rialp, Rody Vera, Peewee O'Hara, Roeder Camañag, Amihan Ruiz, and Olive Nieto. The play is slated from August 7-9; 13-14 and September 4-6; 11-13, 2009 at the CCP Tanghalang Aurelio Tolentino (Little Theater). Based on Bertolt Brecht's Mother Courage and Her Children, Madonna Brava ng Mindanao is Don Pagusara's paean to the German master. Madonna Brava is a kind of ubiquitous witness of the Mindanao War. She follows its warpaths with the flamboyance of a trader and the bravado of a woman who needs to survive with her family in a milieu of uncertainty, terror and death. Madonna Brava is absolutely Bisaya. She dons the cultural trappings of a genuine Cebuana and talks bitingly with a sharp tongue. But she is a true daughter of Mindanao; she knows the island like she does the roadmaps on her palms. Her children separately descend from the ethnic lines of a Muslim Maranao, a Lumad Subanen and a Christian Filipino settler. Her multicab, a veritable mobile mini-bazaar loaded with an assortment of wares that cater to soldiers, takes her to long distances and unseemly spaces of war-torn Mindanao. Under the direction of Nestor Horfilla, founding artistic director of Kaliwat Theater Collective, Inc. of Davao, the production features award-winning actress Shamaine Centenera Buencamino, who plays Madonna Brava, together with the Tanghalang Pilipino Actors Company. The performance is slated at the CCP Tanghalang Huseng Batute (Studio Theater) from September 18-20; 25-27; and October 2-4; 9-11, 2009. In October, Floy Quintos, multi-awarded playwright and noted TV and stage director, directs American playwright Tennessee William's most famous masterpiece, A Streetcar Named Desire (immortalized in the film version by Marlon Brando & Vivien Leigh), and its Filipino translation, Orlando Nadres' Flores Para Los Muertos, a play about the conflict between reality and fantasy, actual and ideal. Featured artists are: Eula Valdes, Anna Abad Santos, Mailes Kanapi, Neil Ryan Sese and Mario Magalona. The play will run from October 2-4; 9-11; 16-18; 23-25, 2009 at the CCP Tanghalang Aurelio Tolentino (Little Theater). The season ends with Tatlong Maria, Rody Vera's adaptation of Russian playwright Anton Chekhov's Three Sisters, a magnificent tragicomedy about the decay of the privileged class in Russia and the search for meaning in the modern world. Tatlong Maria is about the slow destruction of a family once regarded as one of the most respectable in society. From the original Russian setting, the play moves to a remote small town in the Philippines during the first decade of Martial Law. Internationally renowned New York-based director/designer Loy Arcenas directs Mailes Kanapi, Diana Malahay, Angeli Bayani, Cheryl Ramos, Nonie Buencamino and Paolo O'Hara. The play runs from February 19-21; 26-28 and March 13-15; 20-22, 2010 at the CCP Tanghalang Aurelio Toltino. Founded in 1987, Tanghalang Pilipino is the resident theater company of the CCP. It aims to promote Philippine theater that is rooted in centuries-old Filipino culture and history while being responsive to evolving contemporary society. To date, the company has presented more than 200 full productions for 22 seasons and maintains a pool of professional theater actors known as the Tanghalang Pilipino Actors Company. At present, Tanghalang Pilipino is under the artistic direction of noted film/theater/TV personality and former CCP vice-President and artistic director, Fernando "Nanding" Josef. For more information, please call Tanghalang Pilipino (TP) at 832-1125 locals 1620 & 1621/telefax: 832-3661 or e-mail at ccptanghalan@yahoo.com or visit TP's website: www.tanghalangpilipino.com.